InSanity lurks Inside: Seaworld Orlando's Bands, Brews and BBQs Concert Update- Performer stands with Seaworld. Seaworld Orlando's Bands, Brews and BBQs Concert Update- Performer stands with Seaworld. One brave musician has stood up to the controversy and media hype of the "Bands, Brews and BBQ's" event happening at Seaworld Orlando. Patrick Gibson, a Florida native and country musician has stood up and made people take notice. While many washed-up stars have used their dropping out of Bands, Brews and BBQ's to gain media attention- Patrick is showing his support of Seaworld and making an even bigger name for himself at the same time. Rather than focusing on the negative, here is a native floridan who is showing his support in the most positive way while getting his name and music out to the world. Sir, I don't know who you are but I'd like to salute you and shake your hand for standing up. Don't give into the hate your undoubtedly receiving, many stand with you. Patrick Gibson doesn't have much posted up on Youtube right now but you can see a sample of his music both on his Website- PGCountry.com and down below. 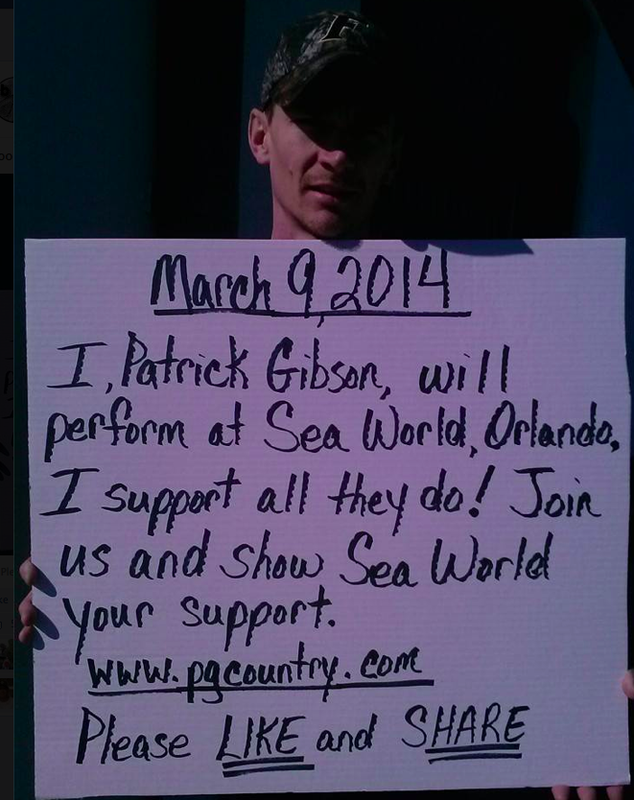 Patrick Gibson will perform at Seaworld Orlando's "Bands, Brews and BBQ's" event on March 9th, 2014.